There’s nothing quite like the sight of astilbe flowers growing in a garden. It’s such a unique flower and it offer so much in the way of color and texture. 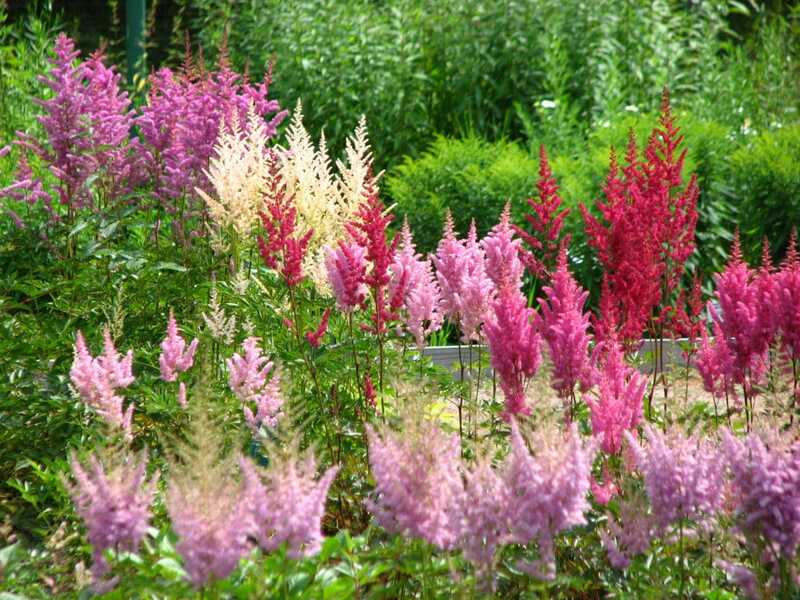 If you’re looking for a flower with height, then you’ve found it in the astilbe. Better yet? It’s a low-maintenance perennial! 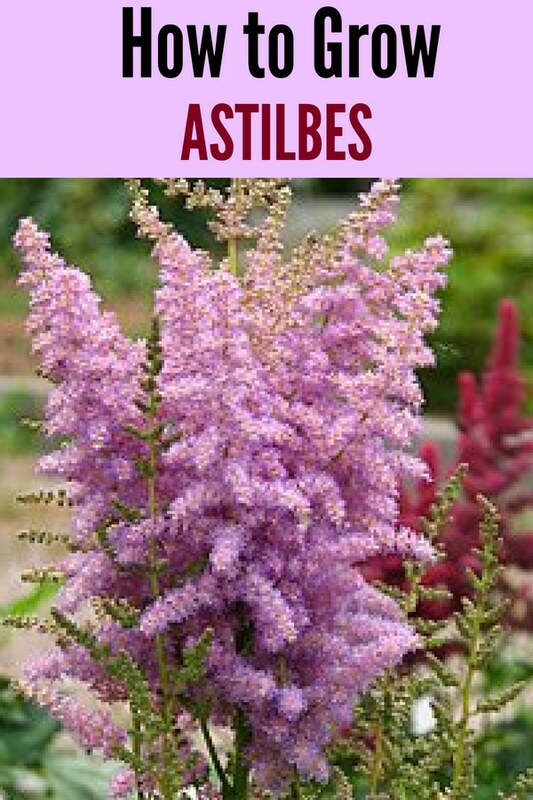 This means that the astilbe is the perfect choice for gardening beginners who are eager to adorn their outdoor space or balcony with blooming plants. (Yes, astilbes can be grown in containers, just make sure its a large container that can accommodate their fast-growing roots!) It also means that they’ll beautify your yard for at least two years if you care for them properly. 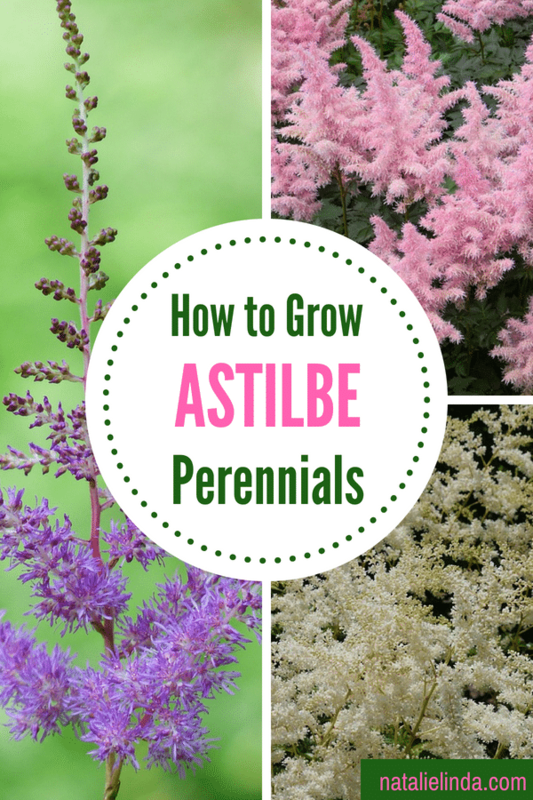 Before you head out to your local nursery to purchase pots of astilbe, let’s go over some simple care tips first. is a shady perennial, so it needs shade in order to thrive. The best time to plant this garden treasure is at the beginning of Spring or Fall. It’s best to start with a division of the plant, rather than from seed because they’re difficult to grow and time-consuming to germinate. This flower can grow anywhere from 6 inches to 5 feet tall. Its fluffy, fern-like flower clusters bloom all Summer long (*depending on the variety, so check with your local nursery) and can be found in glorious shades of pink, purple, yellow, orange, blue, and red. If you’re planting a bare-root astilbe plant, dig the hole two times as large as the bulb and about 5 inches deep into the ground. Make sure that the crown is facing upwards and planted only about 2 inches from the topsoil, with the roots facing downward and deeper into the ground. After you plant your astilbes, make sure to deep-water the soil so that the roots soak up what they need in order to settle into their new home. If you’re planning the layout of your garden and are wondering what plants you should place near your astilbes, then the hosta, ligularia, heuchera, trilliums, and Siberian Iris are options you should consider. Astilbes mix exceptionally well with other moist-soil and shade-loving perennials, so take a pick according to your preference. 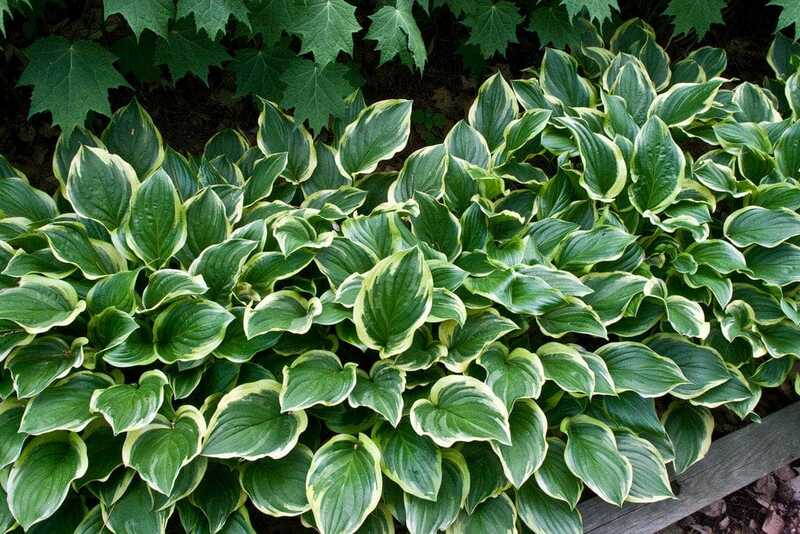 Plus, shade-tolerant plants like the hosta can serve as garden fillers and provide some extra greenery and contrast to your tall, fern-like astilbes. If you remember one thing about growing astilbes, let it be this: Astilbes NEED moist, well-drained, organic soil. Compost mulch or bark chips can help keep the soil moist during stifling hot Summers. This flower can also benefit from a good fertilizer, so try incorporating the fertilizer into your soil a few days before planting. As discussed above, astilbes need lots of moisture and protection from the sun. So, you should aim for weekly deep-waterings, and pay extra attention to the moisture in your soil throughout the week. Check on your plants daily to make sure the soil is nowhere near dry. This flower actually doesn’t need any deadheading, making them even easier to take care of than other perennials. Cutting the flower heads will NOT encourage new flowering, but if you see any burned leaves you can go ahead and cut them back. This plant’s foliage will continue to beautify your garden until Fall. 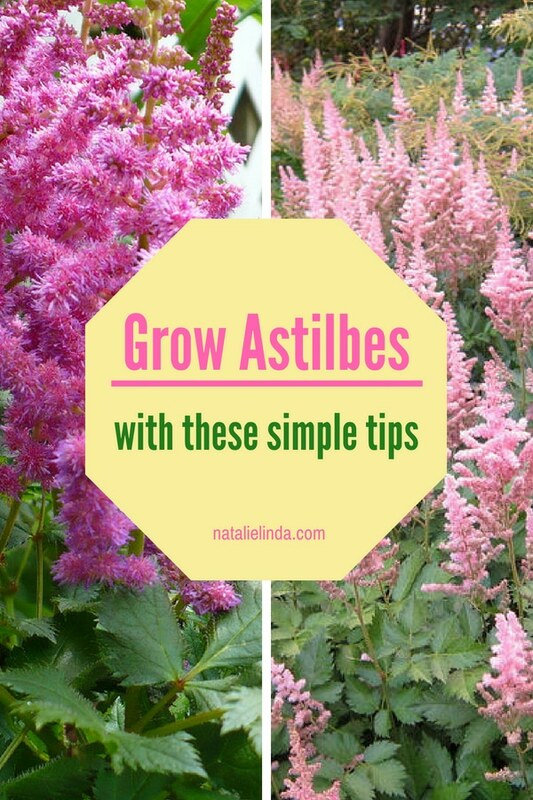 These simple tips will help even beginner gardeners understand how to best care for their astilbes. Remember, this is a low-maintenance plant that will provide your garden with beauty and variety. All it really asks of you is protection room the sun, and moist soil. If you love the freedom that a low-maintenance plant affords, then you; love this plant, as well as a host of other perennials. However, if you have areas in your yard that get no shade at all, then you should consider these 15 full sun perennials that tolerate sunny conditions quite well. They not only thrive in full sun but are also beautiful and low-maintenance. With a mix of astilbes, hosta, and full sun perennials, your garden will have the variety it needs to make you look like a seasoned gardener! And who wouldn’t want to be the garden envy of the entire neighborhood!?! Once my astilbe bloom they don’t bloom again! Can I do something that will force more blooms? You can try deadheading your astibles once they brown and wilt on the stem, this might encourage them to bloom once more before the Fall (you can snip off a bit of the stem too). 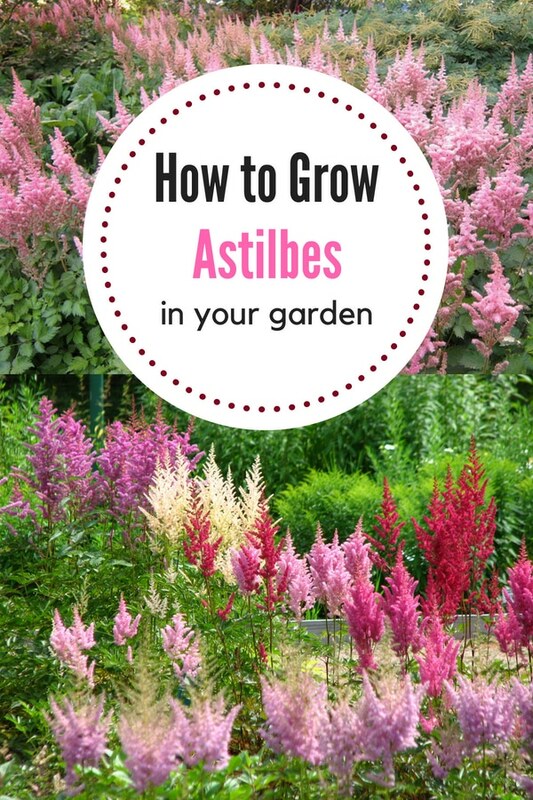 Next year, try planting several varieties of astibles that have different blooming times so that you always have astibles blooming in your garden through the Spring & Summer!